The Shared Prosperity Philadelphia Roundtable Series is one of the central features of CEO’s collective impact efforts. 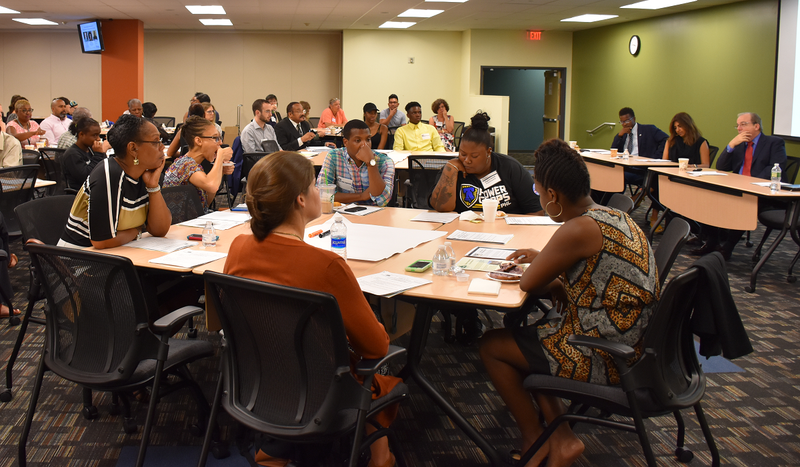 Each year, CEO organizes approximately ten Roundtable events, highlighting new research on poverty in Philadelphia, innovative programs that are making a difference, and emerging trends in data or best practices. The Roundtables provide an opportunity to expand the knowledge of local stakeholders and develop new cross-sector relationships in support of systems-level change. The Roundtables also help to advance the strategic development of Shared Prosperity Philadelphia by promoting continuous communication and dialogue on the key aspects of the plan. To view upcoming Roundtable Series events see our calendar.